Most of the MCUs use TTL levels, and the computer serial port generally uses 232 levels. If we want the computer to communicate with the MCU, we need this RS-232 To TTL Conveter (MAX3232IDR). When using a higher baud rate, you need to pay attention to whether the connected MCU supports it. 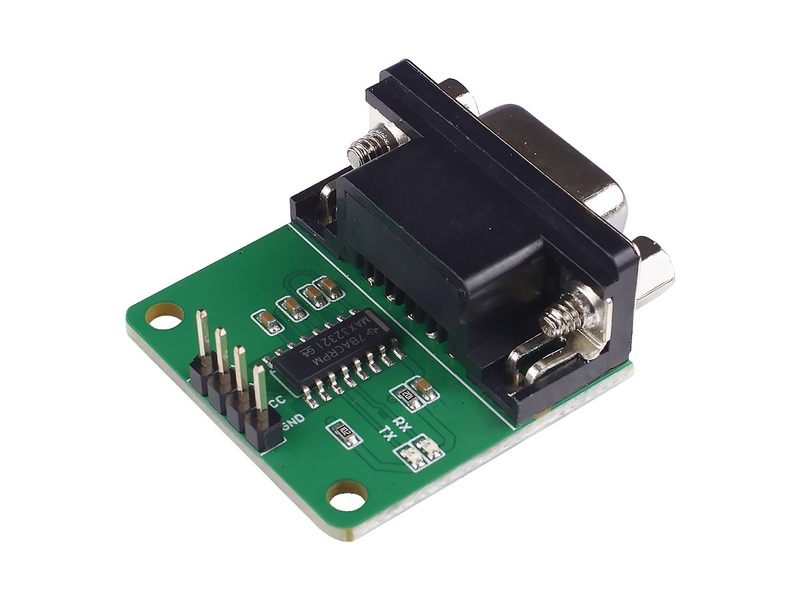 This is a simple module that only needs to connect the corresponding interface to the corresponding device to transfer data using the serial port tool. 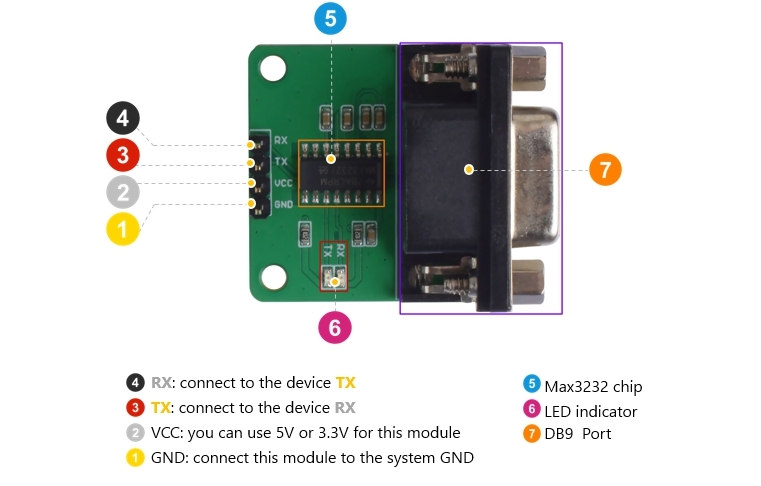 You should note that when connecting a TTL device, the RX pin of the module needs to be connected to the TX pin of the device, and vice versa, the TX pin of the module needs to be connected to the RX pin of the device.